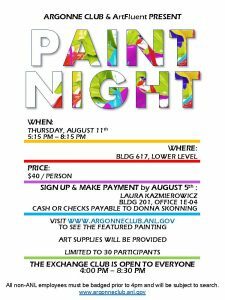 Plan to attend Paint Night on Thursday, August 11th at the Exchange Club! Registration is $40/person, and all art supplies will be provided. Feel free to bring a snack to share. Even if you choose not to participate in Paint Night, the Exchange Club is open for everyone from 4:00-8:30PM. 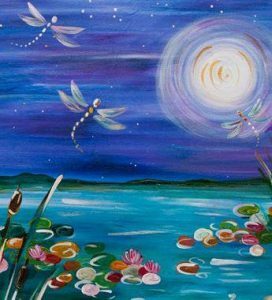 The painting theme for the evening is Dragonfly. Registration is limited to 30 participants. Please contact Laura Kazmierowicz @2-2985 by August 5th to register.